OUR STORY - DENNY BAR CO.
Our story begins over 35 years ago here in Scott Valley California, when two young boys became best friends. Over the years their friendship took them on many adventures, during which they both developed an interest and obsession in great food and high quality spirits. After growing successful businesses independently they were inspired to begin a new adventure together, embracing what they enjoyed and sharing with the world their own manufactured spirits and high quality artisanal food. After years of dabbling in the industry as hobbyists, they decided it was now time to open their own establishment. 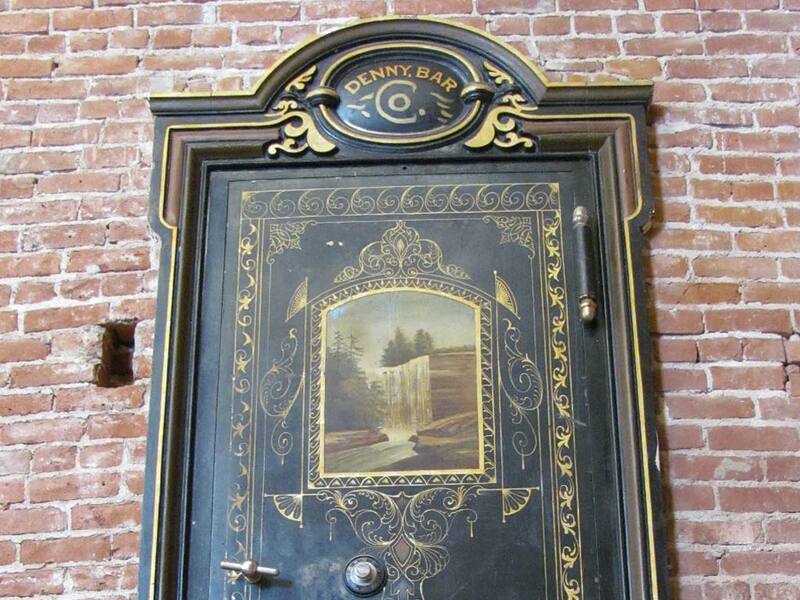 When the landmark building, circa 1880, became available for sale in their hometown, it was the inspiration that fueled the rebirth of Denny Bar Company, the first of its kind in Siskiyou County, California. To create award-winning distilled spirits & artisanal fare that invigorates the senses, stimulates the soul and evokes the adventure in all. Sparrow began his career in the aviation industry in 1994 after receiving a degree in both business & Aeronautical Technology. With the management of his other businesses well established, Sparrow jumped at the opportunity to open a distillery in his hometown. Sparrow has always had an interest in distilling, with a special appreciation for bourbon. 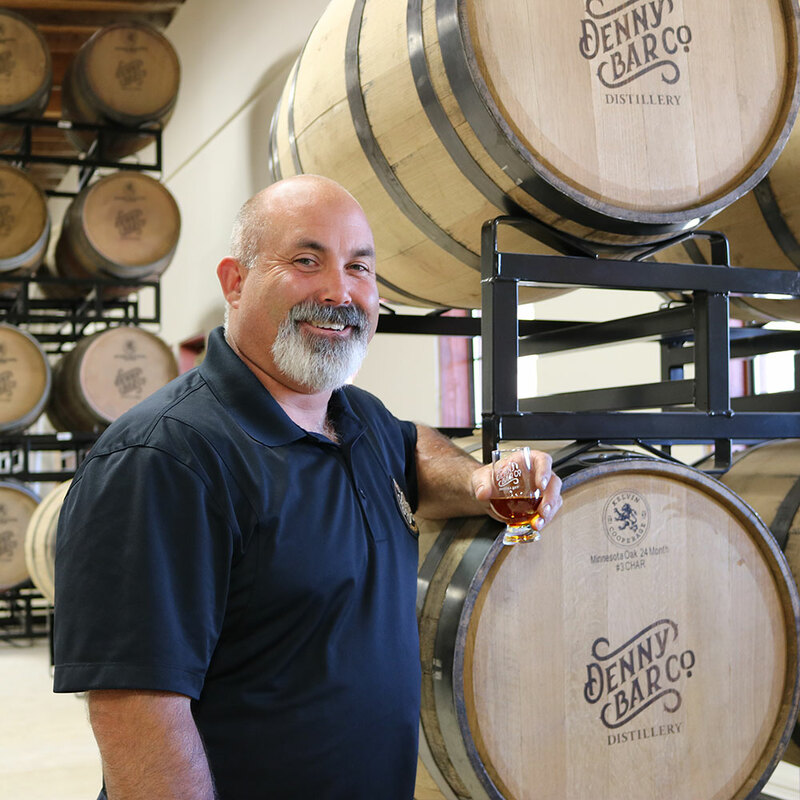 As a hobbyist, he has enjoyed learning about the distilling process. 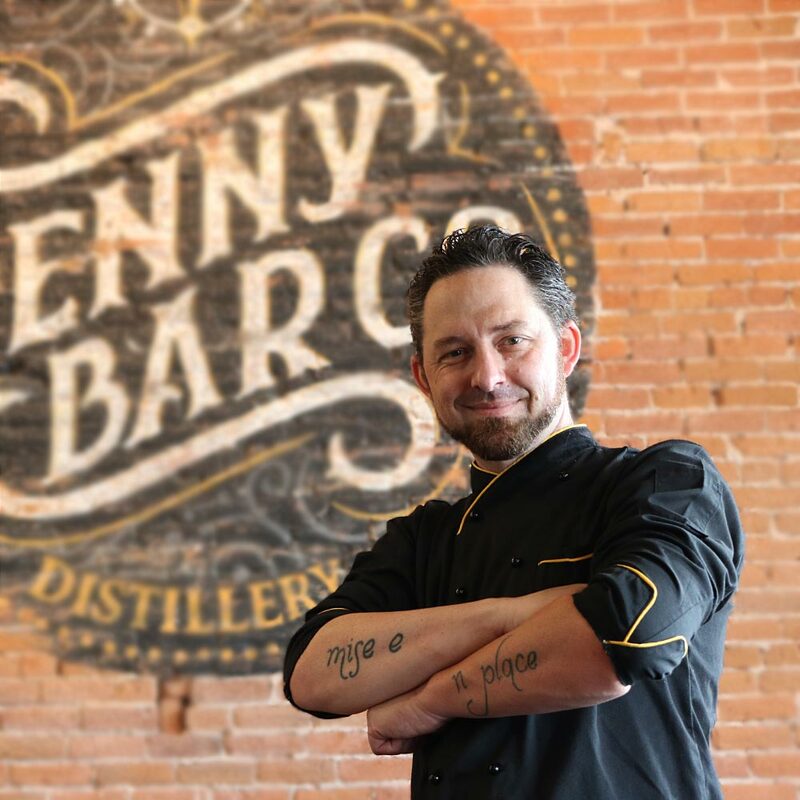 In October 2016, Sparrow graduated from Moonshine University’s Distillers program and later returned for education on the formulation of gin. India holds an Associates Degree in business from Santa Rosa Junior College. Over the last five years, India has been leveraging her talents as: the Director of Marketing for Advanced Helicopter Services; Golden Gate Helicopters: Cascade Helicopter Services; and Cardan Aircraft Painting. ​India thoroughly enjoys the challenges she has undertaken and has developed a keen eye for design and marketing. 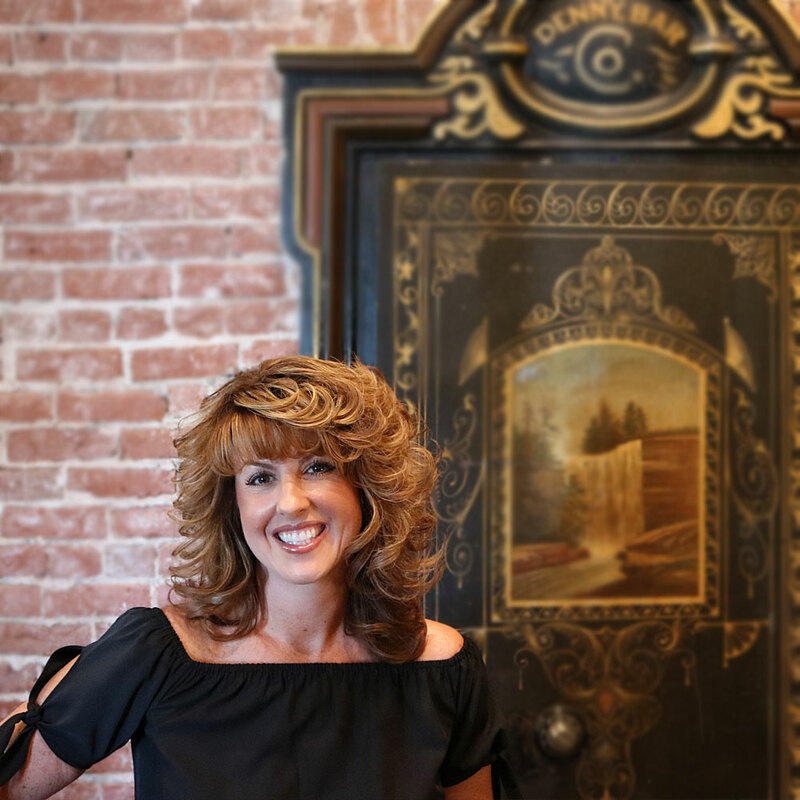 She is a key member in driving the Denny Bar Company brand & marketing efforts. Cole has been a licensed General Contractor in California for over sixteen years and the founder of Laustalot Construction. Cole has also worked with Pioneer Log Homes of British Columbia -- with screen time on HGTV's Timber Kings TV show. 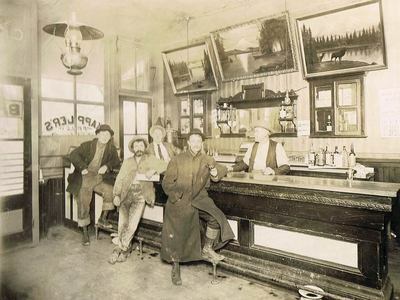 Along with Sparrow, Cole enjoys fine bourbon and mixing cocktails. 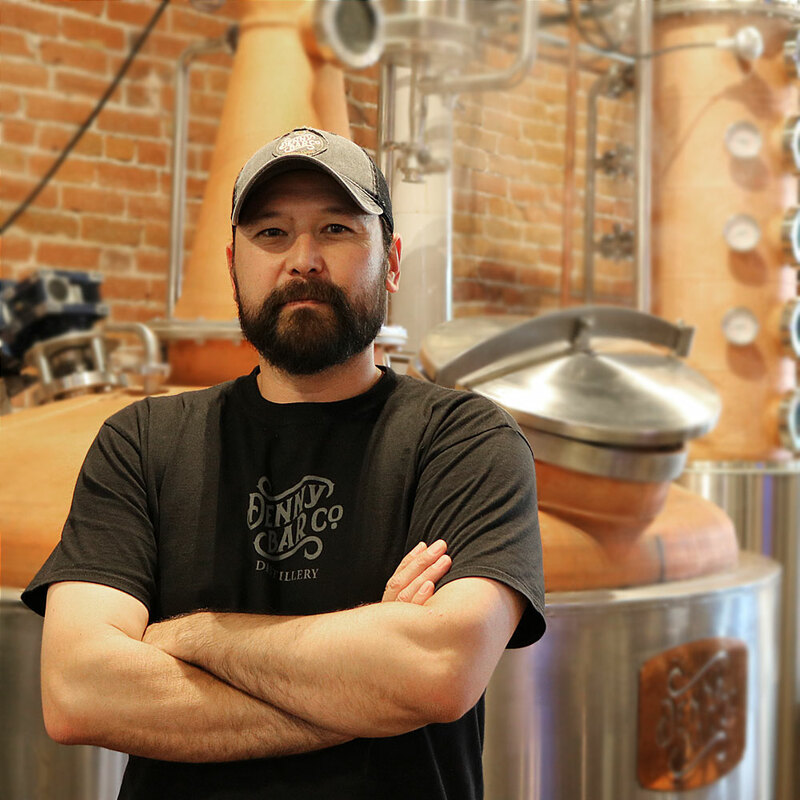 Cole has expanded his knowledge of the distilling industry through self-study. 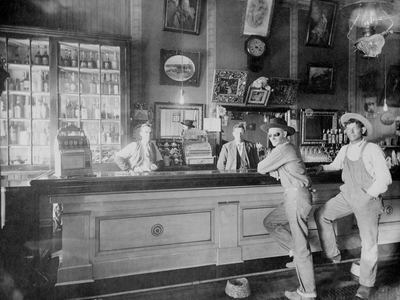 He, too, attended Moonshine University for training on gin formulation & production. 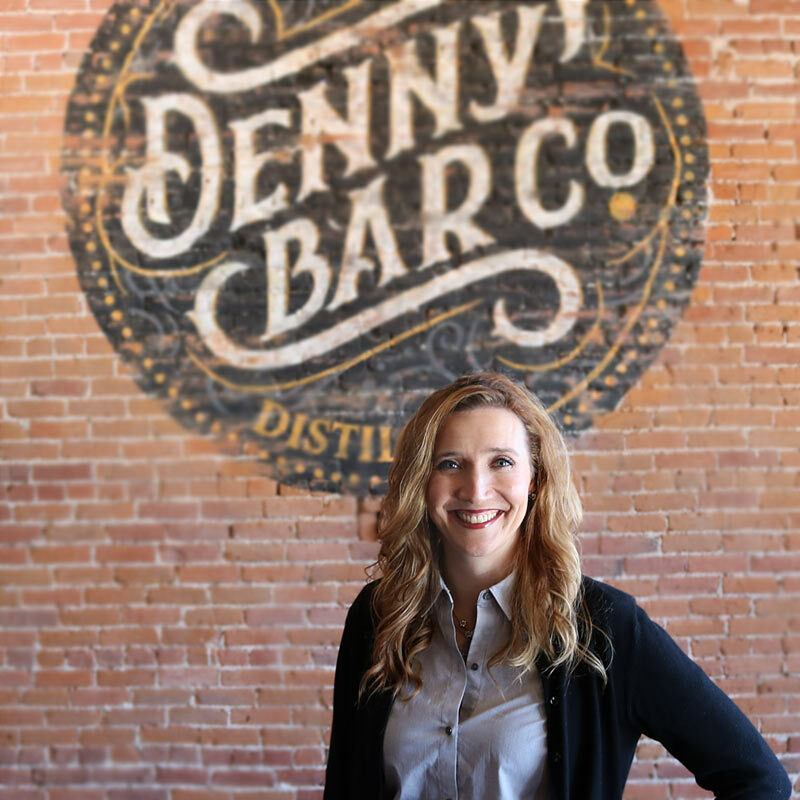 With an eye for detail and an extensive skill set of accounting knowledge, Patricia delivers organizational expertise and business management skills to Denny Bar Company. Will is a Culinary Graduate from The Art Institute of Seattle & former Executive Chef at Hearsay Restaurant & Lounge in Ashland Oregon. Will brings 18+ years of culinary & cooking experience to the kitchen -- with an exceptional track record in hospitality management & menu development. Competition “Bite of Oregon” Second Place finish. Lance received his Bachelor of Science degree in graphic design from The Art Institute of Portland in 2007. Lance has nine plus years of experience in branding, web development and marketing strategies. 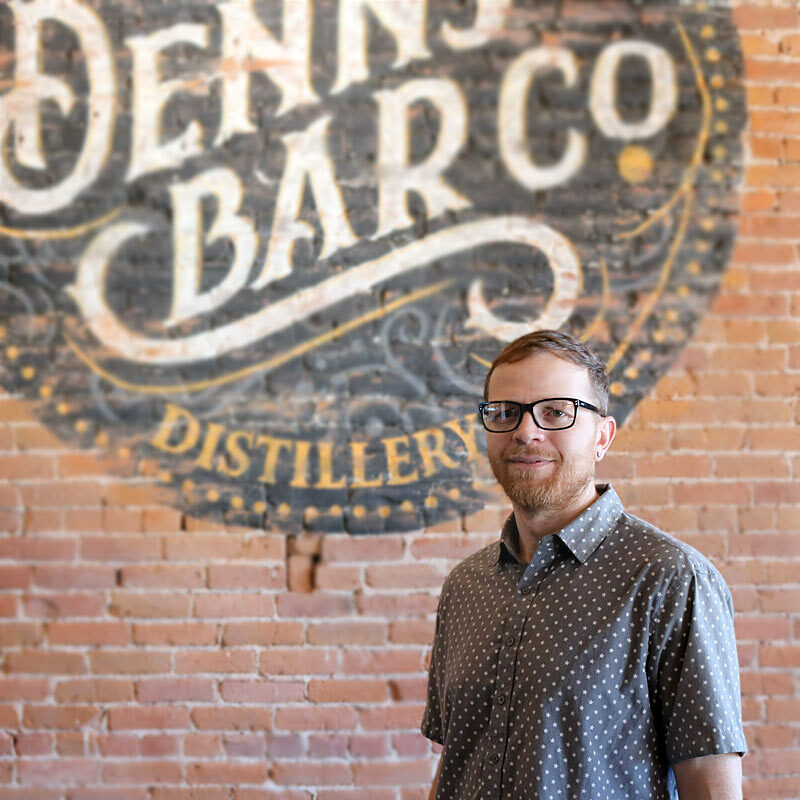 Lance continues to expand his craft spirits knowledge & currently manages the Denny Bar Company social media accounts, press outreach and merchandising. 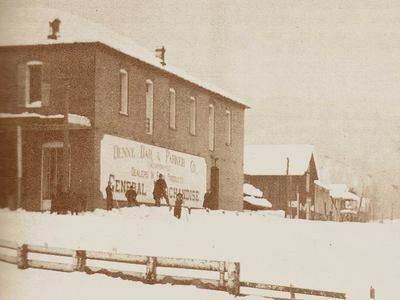 The Denny Bar Company brick building is located in downtown Etna -- and was originally built in 1880 by the Parker Campbell Company, which sold goods and merchandise to the miners and settlers of the 1880s. 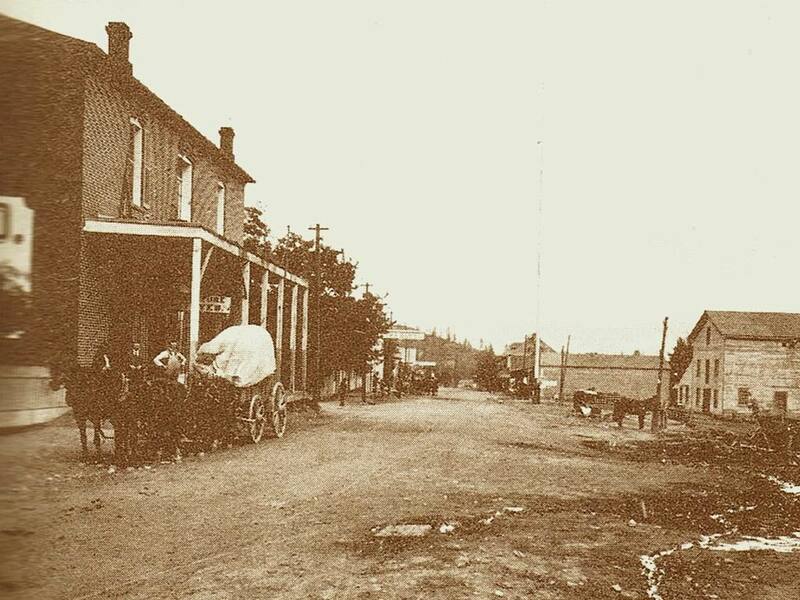 In 1892, the second story became the site of the first high school north of Red Bluff, California, with an enrollment of 15 students. 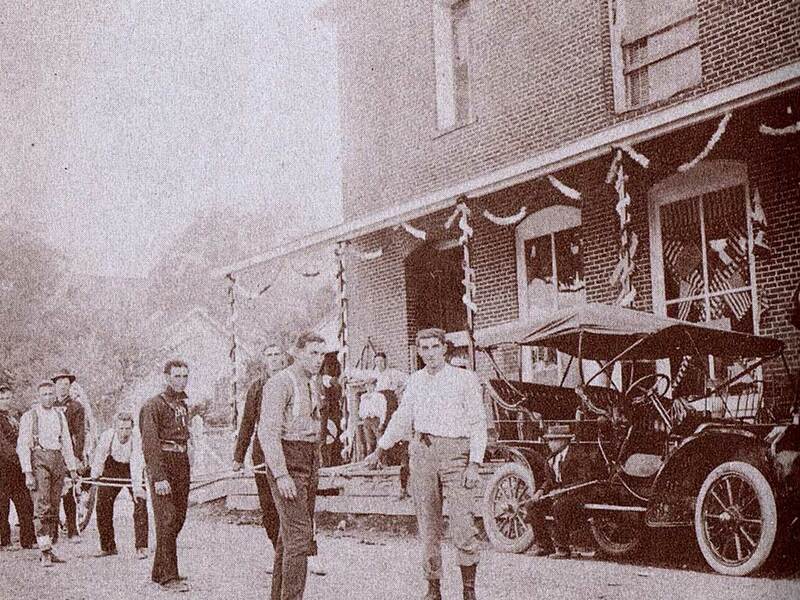 The second floor was also later used for public lectures, concerts, entertainment, as well as rooms for rent. 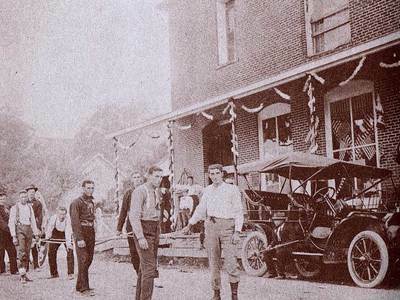 ​In 1896, Campbell sold his interest in the store to A.H. Denny, forming the Denny Bar & Parker Co. A.H. Denny was a man of vision and business acumen, having first entered the mercantile business circa 1866 in Callahan, 12 miles south of Etna. 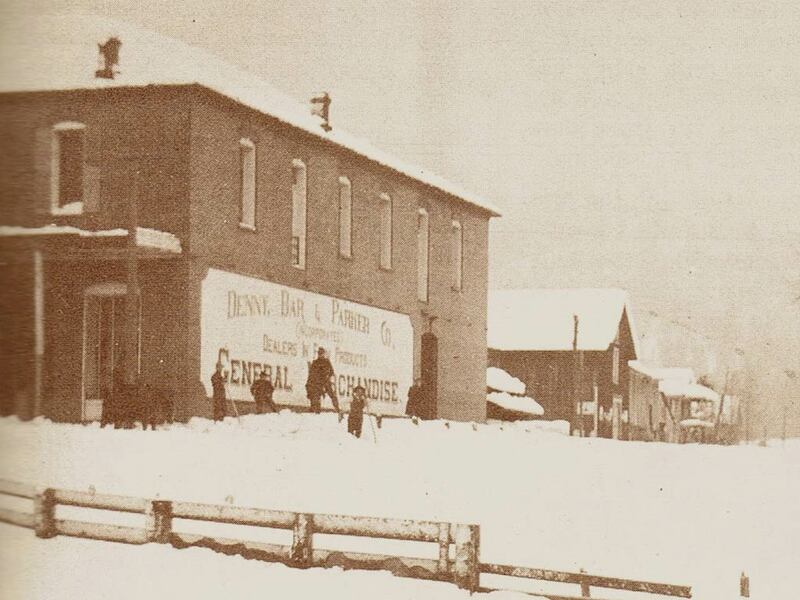 He also acted as a Wells Fargo agent, a Justice of the Peace, and was instrumental in establishing Etna’s first bank, the Etna Library and, of course, the Denny Bar Company. 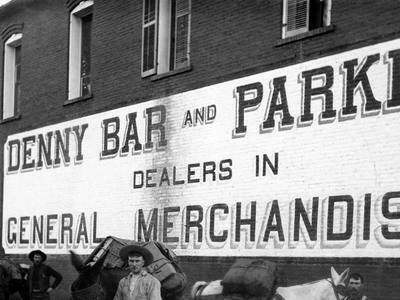 In 1900, the business was incorporated under the name “Denny Bar Co” and became part of the first chain of retail stores in all of California, boasting a total of 9 stores throughout Northern California. 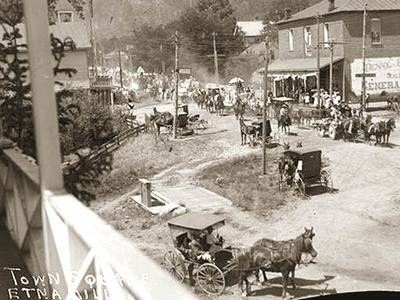 “Denny Bar Co” operated its own pack train and contracted for mail and freight to be transported over the mountains to the large gold mines located in the area. 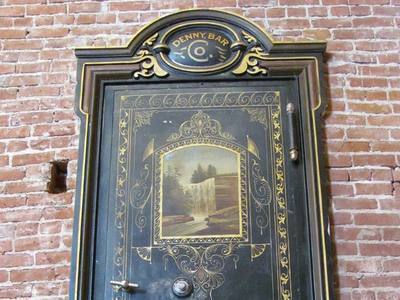 The building still houses an operational, large walk-in safe that was used by Denny Bar Co to safeguard gold purchased from the miners until transport could be arranged by Wells Fargo & Co to the nearest banks in Sacramento. 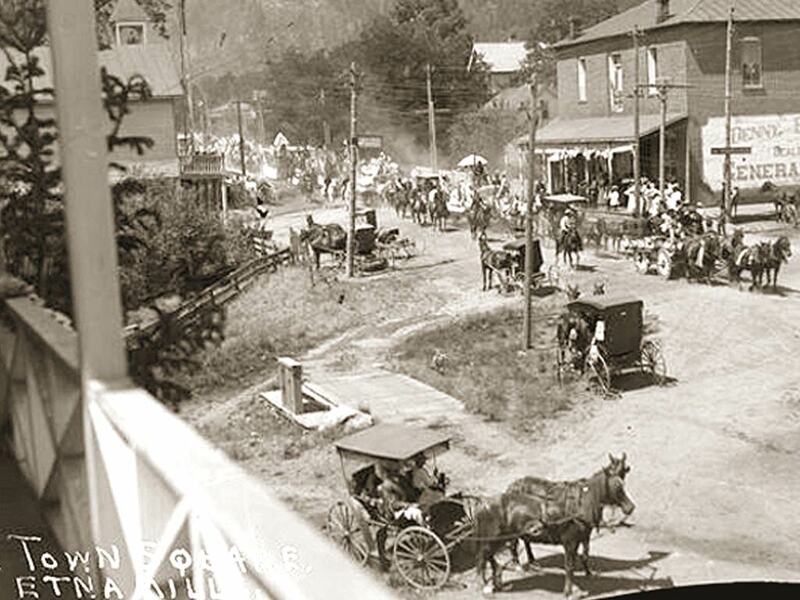 It is recorded that the early Denny Bar Co traded goods and services for over $1,000,000 when gold was less than $30 an ounce. 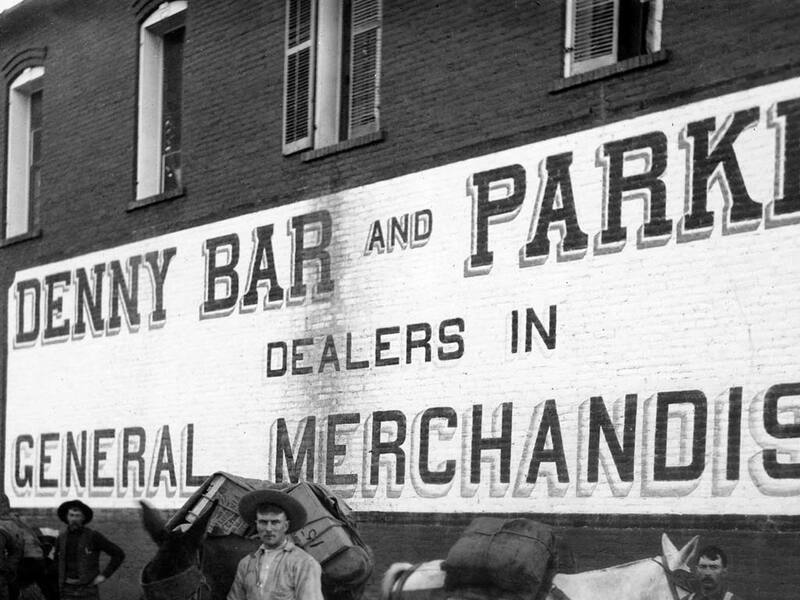 It was the history of the building that helped inspire the partners to purchase it -- and honor the original visionaries & adventurers by naming their distillery Denny Bar Company. 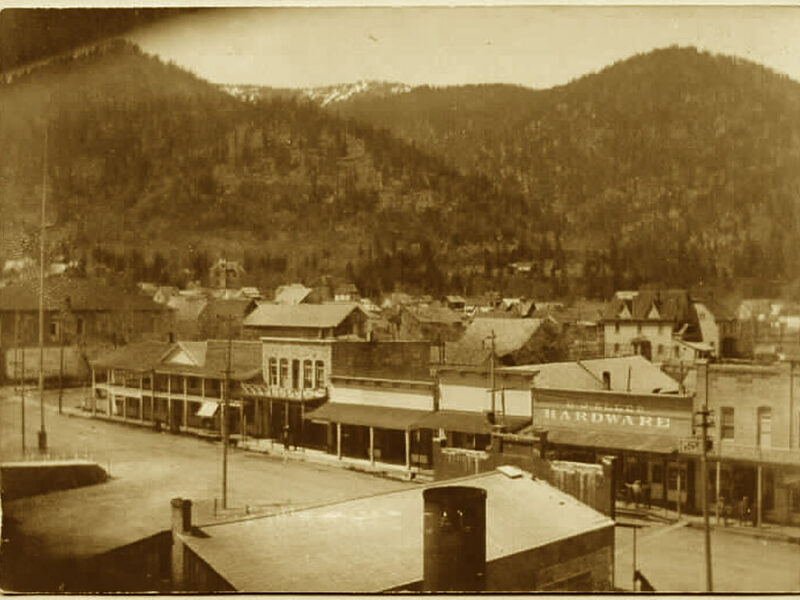 Postcard -- "This shows part of the town of Etna Mills, surrounded by mountains that have some of the finest spring water you ever drank."